Well, it’s been a while but here I am back on the old blog. Little did I know after getting Crescendo!, the first Austerley and Kirkgordon adventure, out there that the second would take so long. The crazy thing is that most of the difficulty has had nothing to do with writing or editing or graphics production. Instead it has had all to do with personal difficulties that have happened to the team involved in putting the books together. It has been a trying time and one which has been frustrating but I have kept on writing through it all and now have a number of projects at the “first draft complete” stage and some even further along. 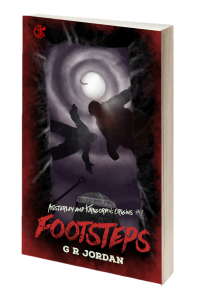 But the even better news is that the second Austerley & Kirkgordon adventure is with my editor for a final pass. The artwork is complete as it can be before final production and it should be all systems go for launch in about a month. This time Austerley and Kirkgordon are sent to the English seaside town of Dillingham for Austerley to recuperate before an important operation. But it isn’t long before the boys are getting into trouble with the locals. Composite monsters, a witch and more special agents, all wrapped up amongst ghostly pirates, give our boys the run around and drive one of the pair to a very dark place. If you thought they had it tough in the first book, just wait until Dillingham gets a hold of them! And just to whet your appetite further, here’s a wee pic of the ebook cover. 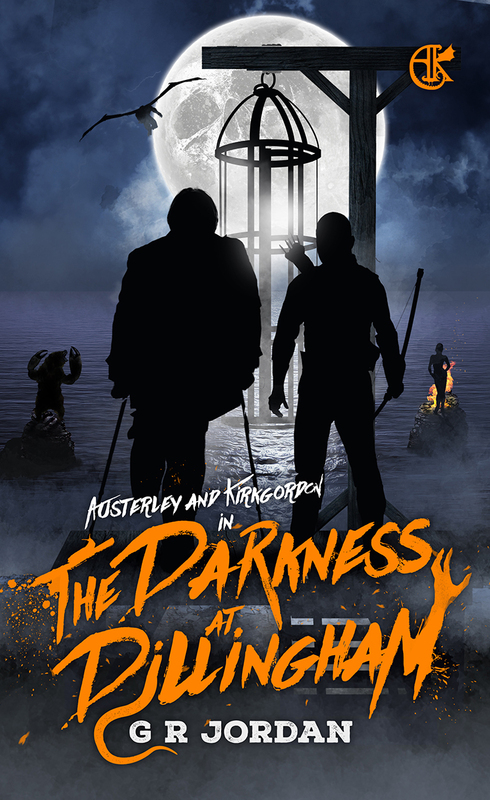 The Darkness at Dillingham, coming soon! If you missed “Crescendo!”, the first Austerley & Kirkgordon adventure then you can grab it here.